Exhibition Panels are graphics that can be mounted within a shell scheme structure. Optionally these panels can be produced either on rigid foamex panels or on rollable media. The Panels are fixed in place within the shell scheme structure using hook and loop tape. These can also be referred to as Stand Graphics, Rollable panels, display boards or exhibition boards. Probably the most commonly known exhibition product. 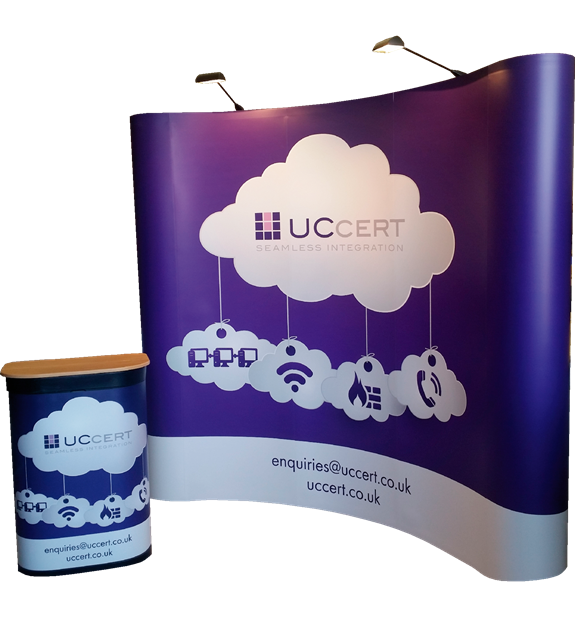 They are a singular, highly portable, compact, lightweight, expandable and reusable display. 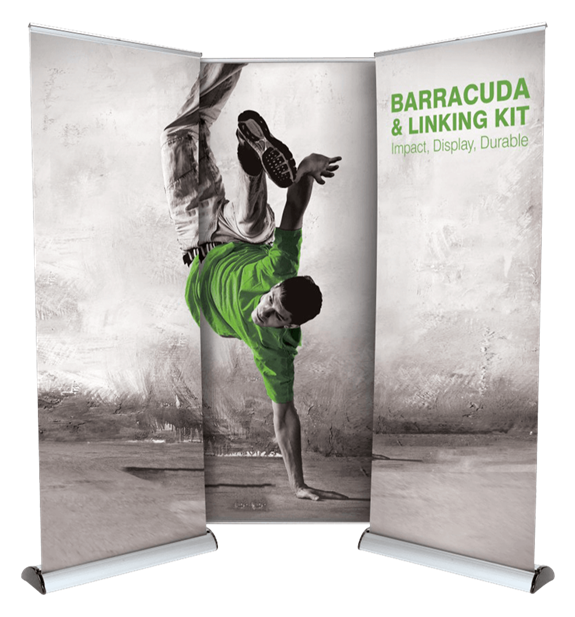 Roller Banners are free standing are lightweight and extremely portable because they don’t require heavy framework for structural stability. Roller banners are also referred to as roller banner stands, pull up banners, roll up banners, pop-up banners, Vinyl banners, display banners,retractable banner stands, roll up banners and banner systems. 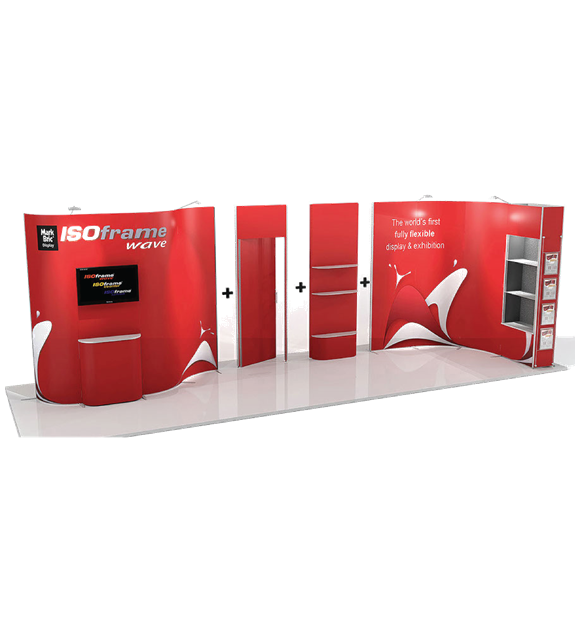 The Modular stand is a type of exhibition display system that using predefined components can be constructed into a variety of different shapes to suit your needs at each event that you attach graphic panels to. 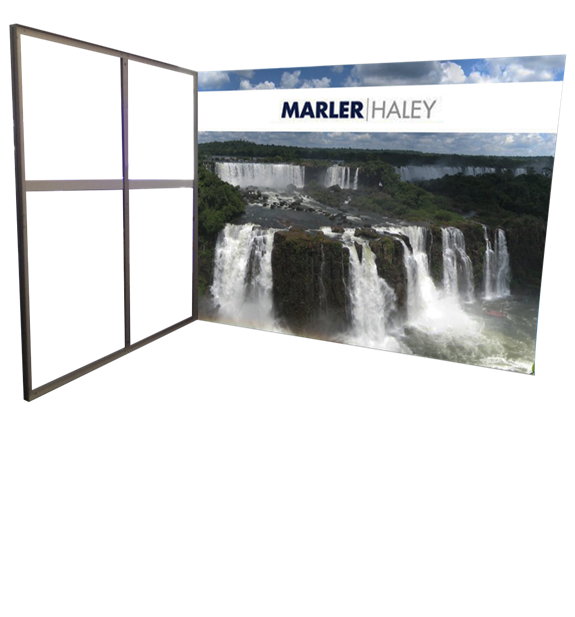 This is an extremely versatile type of exhibition product and depending upon the specific solution can extend from a single “Banner Stand” – to a large graphical display area with storage and display areas. The limitation with larger modular stands is that when configuring for different exhibition space sizes can cause issues based upon the stand graphic design. The Modular Stand has also been referred to as Banner Stand, Put-up Display, or Custom Stand. The custom stand is the ultimate in exhibition displays, typically the custom stand is only used at larger exhibitions, this is primarily due to the costs associated. The custom stand enables you to use all of the maximum height permissions (normally 4 Metres at UK Venues) without specific authorisation and the submission of structural drawings. 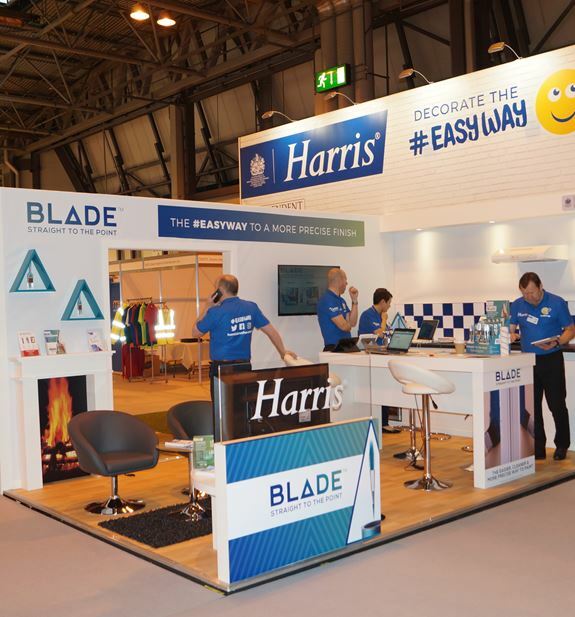 The creation of a completely bespoke exhibition display can help you stand out from the crowd quite significantly and enable you to promote your brand or company tailored to your marketing strategy. The Shell Scheme is a pre-built structure offered at most exhibition venues and trade events constructed from aluminium framing and panels. The shell Scheme structure will have a fascia panel that will denote the stand number and the exhibitors name. There are restrictions as to what can be done when exhibiting within a shell scheme most notably restricted height normally to a maximum of 2.4 Metres. 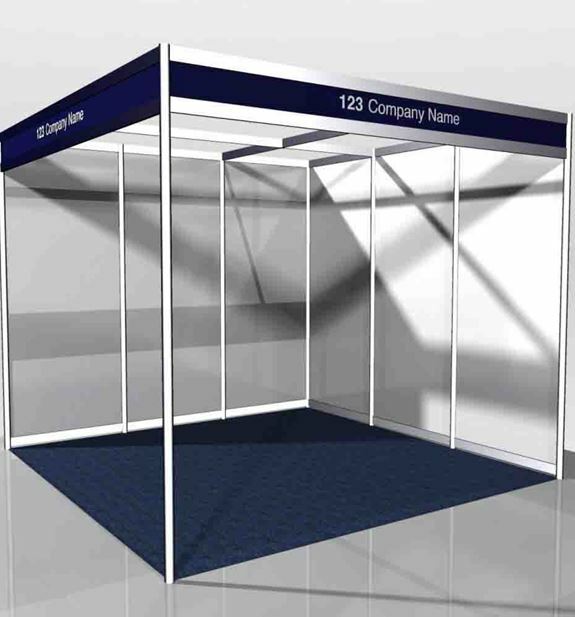 Shell Scheme is also sometimes referred to as a booth.